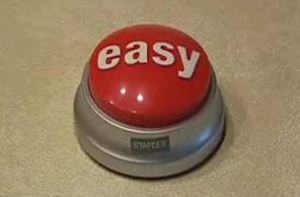 AgencySpy: Staples has ended it’s “Easy Button” campaign in favor of an effort taglined, “Make More Happen.” More what? Stapling? We don’t see that happening. GalleyCat: Isaac Asimov predicted that in 2014 the area between D.C. and Boston would become one giant city. Gross. AppNewser: The Chicago Bulls have launched their own app. Derrick Rose was spotted using it, but had to stop because he sprained a finger.